For more than a decade, multiple Five Star award-winning Realtor®, Brett Dickinson, has represented highly satisfied buyers and sellers in countless real estate transactions throughout San Diego County. Brett’s first-hand knowledge of San Diego, from the coastal jewels of La Jolla and Del Mar to inland enclaves, such as Rancho Santa Fe, exceptional reputation for client service, negotiation and professionalism, and his unparalleled commitment to the Sotheby’s International Realty ideals of operating a business with a local and global perspective, make him the right choice when it comes to choosing a Realtor®. As The Wall Street Journal’s “go to” real estate expert for San Diego County, Brett’s clients trust him to put their needs and goals first, find the right property or buyer, negotiate the best deal and exceed their expectations. 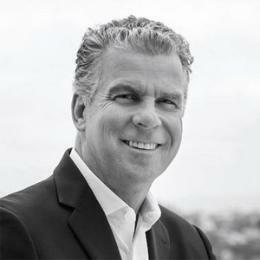 His strong breadth of international experience and growing, dedicated network of buyers, agents and real estate professionals from around the world (from Asia, Europe and South America) offers his clients a reach that is second to none. Brett actively participates in significant seminars and panel discussions, including the Sotheby’s Auction Annual Real Estate Summit in Hong Kong, the AREAA annual conference in Honolulu, USD Real Estate Seminar. He is a proud and active member of the Hong Kong Association of Southern California (HKASC), the La Jolla Real Estate Broker’s Association (REBA) and the Asian Real Estate Association of America (AREAA) as well as a role player in many San Diego community organizations.